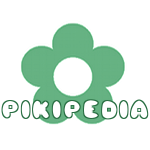 the Pikmin encyclopedia that anyone can edit, with 1,268 articles in English. Before creating an article, make sure you read the guide and that the page doesn't already exist. A drained pond in the Valley of Repose. The Valley of Repose is an area in Pikmin 2 and the first one accessible to the player. On this snowy landscape, Olimar discovers a group of Red Pikmin and starts collecting treasures using their help. 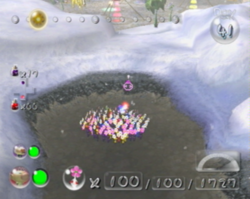 Purple Pikmin are also found on this area's and the game's first cave, the Emergence Cave. This area bears three caves and seven treasures, which are valued at × 990 total. When the Hocotate ship first lands here, it hits a tree branch on the way down, but lands safely. A closer look, however, reveals that Louie fell out of the cockpit. 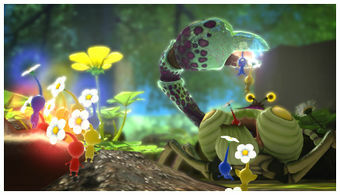 This part of the game acts as a tutorial, starting with the Pikmin and the two leader mechanic, but after the first two days, it acts like all other areas. The Peckish Aristocrab from Pikmin 3 eating some Pikmin. April Fool's Day! This year, we've created an article on a made-up feature in Super Smash Bros. Ultimate: Olimar's notes! A new Totaka's song Easter egg has been found! This one requires the player to wait on the cave sublevel memory card warning screen. This year's Cross-Wiki Weekend event runs from September 21st to September 23rd! Edit NIWA wikis you rarely contribute to for a chance to win a $20 eShop card! Details can be found here. We now have the syntax highlighter gadget! When logged in, enable it in your user settings to make the wiki syntax color coded when you are editing a page! What is your favorite Pikmin game? NIWA is a family of open-content encyclopedias based on Nintendo franchises. This page was last edited on February 16, 2019, at 12:12.